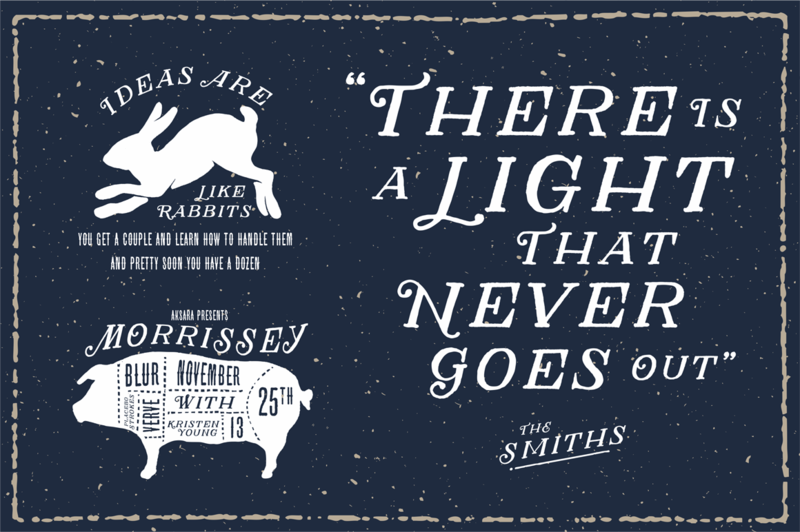 Herschel is unique display serif font with the hand draw style. It was created and published by Decade Type Foundry, and the design is inspired by the natural imperfections that occur in traditional sign writing. It is hand draw style, which includes element of human touch with the mild wobbly, yet cool fonts. Featuring open type with the curls in some characters, Herschel can be used for children’s book, menus, beer labels, organic food packaging, lettering etc. The hand draw style font which includes Grenson font and multiple language support, gives Herschel font an elegant look. A font description published on Monday, February 9th, 2015 in Decade Type Foundry, Fonts, Gilang Purnama by Andrei that has 5,712 views.